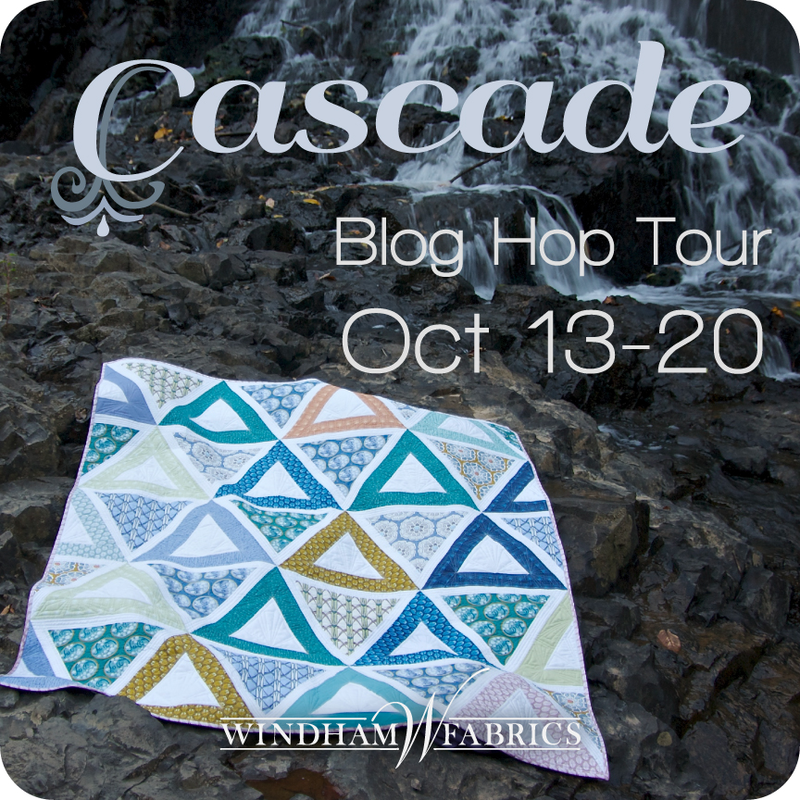 Welcome to a blog hop for the new fabric collection, Cascade by Jessica Levitt. Jessica and friends have come up with some beautiful projects for this sophisticated collection. See the collection lookbook here. Follow along for some sewing inspiration! Leave a comment here to be entered for a fat quarter giveaway. Winners will be chosen on Monday October 20th. Please count me in; it’s a beautiful collection! I especially love the Glacier color line and your purses are awesome. Thanks for the chance! Cute bags, especially the round one. Glacier is so cool and beautiful. 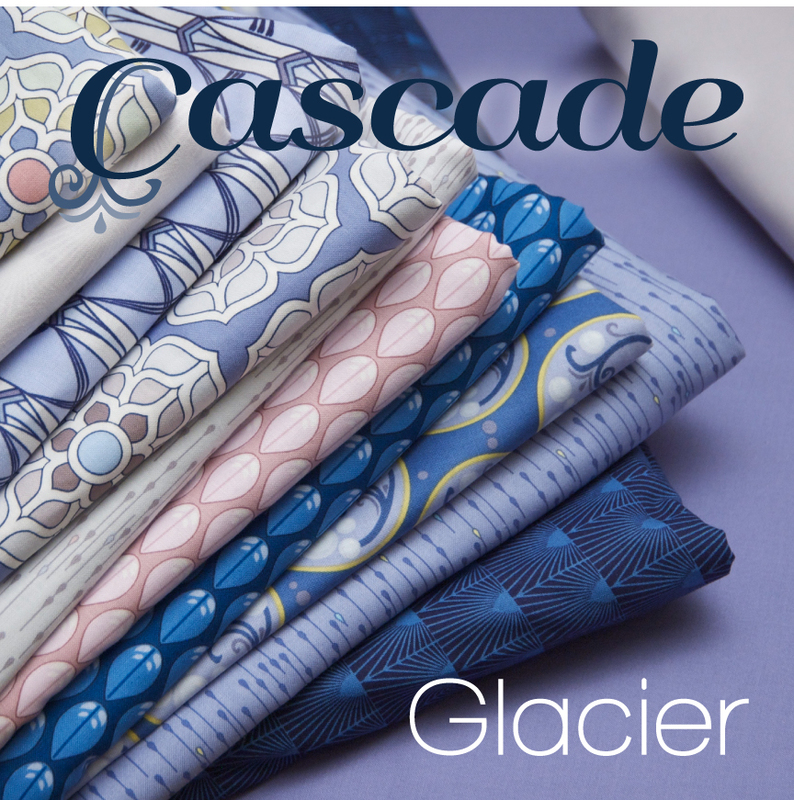 I would love to make a quilt from those fabrics..
Love the Glacier fabric – so cool-looking. This fabric would make a beautiful quilt. Such a great collection, Drip in Bayou and Bubble in Bayou are my favorite prints. The Diamond Strands quilt is amazing. Love the beautiful blues in Glacier, so pretty. Love this collection!! Very pretty! Gorgeous fabrics! I love the bags you made. What inspiration! I’m anxious to start a project of my own now. Thanks for sharing the talent and for the giveaway. This is a fabulous new collection!! I love both colorways!!! I really like your bags. 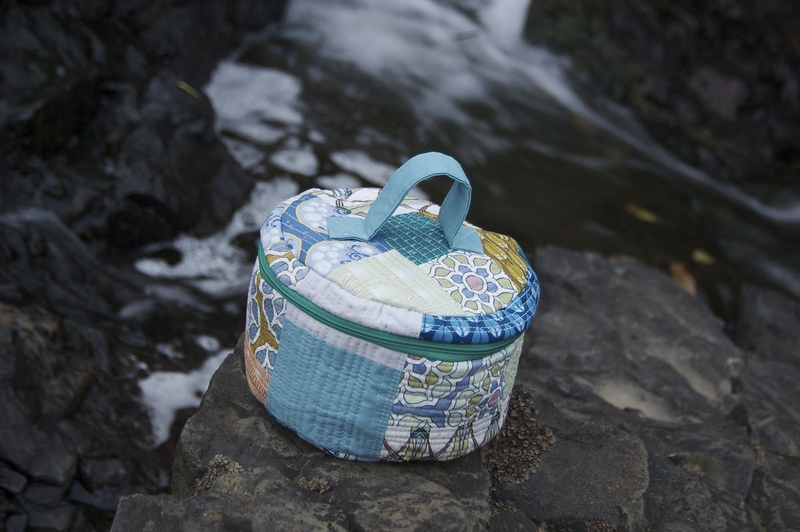 The round one has a scrappy feel with the many different fabric patterns and it’s my favorite. Cascade collection can’t get here soon enough. 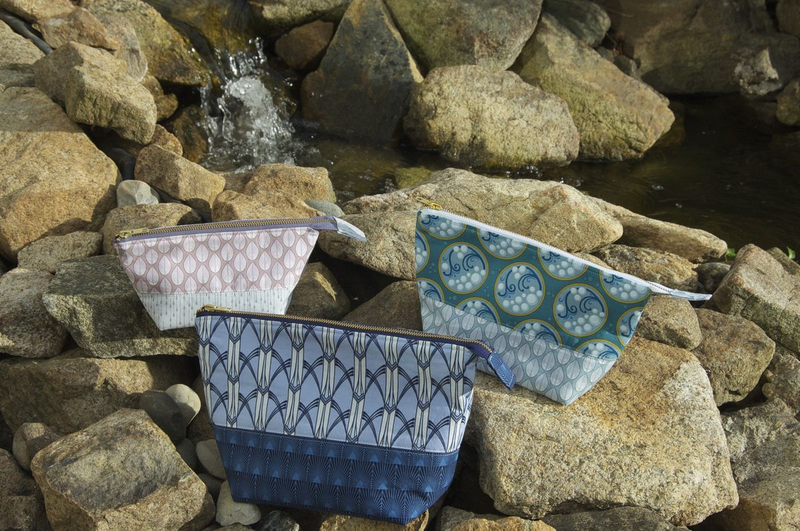 I love all of the Pond and Glacier prints and colorways. Thankyou Jessica for your inspiration and Windham for the FQ Bundle giveaway!